When you call 999 you may be advised that, based on the initial information you have provided, an ambulance is not immediately required but we need a more detailed telephone clinical assessment to be completed. This will either be by asking you to call NHS 111 or informing you that your call is being passed to a clinician in our Clinical Hub to ring you back. 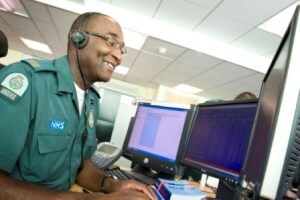 Our clinical telephone advice team are experienced paramedics who ring patients back to ask additional questions. They use the information provided to establish the best course of action and the most suitable place for you to be seen if a face-to-face assessment is needed. You may receive advice on how to manage your symptoms at home, or be advised to contact your own GP or local pharmacy. If the assessment indicates that you do require an ambulance, help will be arranged in the time-frame recommended by the clinical assessment. If you have been advised that you will be receiving a call back from someone in our Clinical Hub, please ensure your phone line is kept free to receive the call. During busy periods, it may take up to an hour to call you back – but be reassured that the original call taker will have ensured it is safe for you to wait for this call. If your condition changes whilst you are waiting for the call-back please re-dial 999 where you will be reassessed.